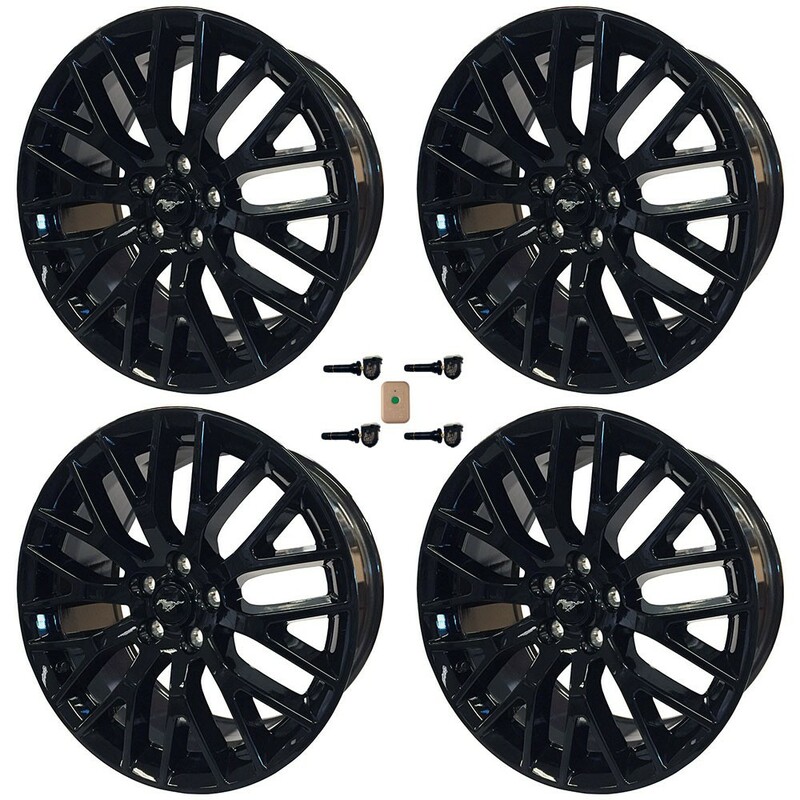 Set of Four Ford Performance Gloss Black 19"x9" and 19"x9.5" GT Performance Pack Wheels with a TPMS Kit for 2015, 2016 and 2017 V6, EcoBoost and GT Mustangs. Wheels often improve performance enhancement, but they also add style and a personalized touch to your Mustang’s exterior. If you’re looking to upgrade your 2015-2017 V6, EcoBoost or Base GT or replace the wheels on your Performance Pack GT Mustang, this Set of Ford Performance Gloss Black 19”x9” and 19”x9.5 GT Performance Pack Wheels with a TPSM Kit is the perfect addition to set your Mustang apart in the show room and on the road. 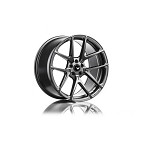 These wheels have a gloss black finish and are clear-coated to original equipment manufacturer (OEM) standards. They have a 5-lug 4.5” bolt circle and are direct-fit replacements for 2015 Performance Pack GT Mustangs. Otherwise, these wheels (P/N: M-1007K-M19XGB) are a great upgrade for your 2015-2017 Mustang in terms of performance and exterior appeal. This set of wheels is the perfect way to change up the look of your vehicle and get more attention by setting yourself apart from others. They come with factory Running Pony Center Caps that show both your pride for Ford and your love of great American engineering, as well as TPMS sensors and an activation tool kit. The Ford Performance M-1007K-M19XGB black gloss wheels are available as a set of four and as a wheel and tire package which comes professionally mounted and balanced. Tech Tip: This set of wheels is not intended for use with the 2015-2017 Shelby GT350 and GT350R. Please Note: The TPMS sensors that are included with these wheels are intended to be used with LHD (Left-Hand-Drive) North American Spec Mustangs only. They are not compatible with RHD (Right-Hand-Drive) Models or Vehicles manufactured for distribution outside of North America.